The values of excellence, learning and sharing have positioned the Verbier Festival among the most prestigious classical music festivals in the world—an essential destination for music-lovers and the most talented musicians on the planet. 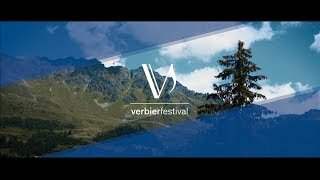 The Friends of the Verbier Festival form a unique community of philanthropic music lovers, who invest in the international outreach of the Festival by enabling the development of educational programmes and large-scale artistic projects. Make a donation directly to the Verbier Festival Foundation to underwrite Festival programming, and education programme, or to create your own legacy. Support this nationally and internationally-recognized cultural event with a bespoke partnership. Contact us to discuss the right options for you or your company.